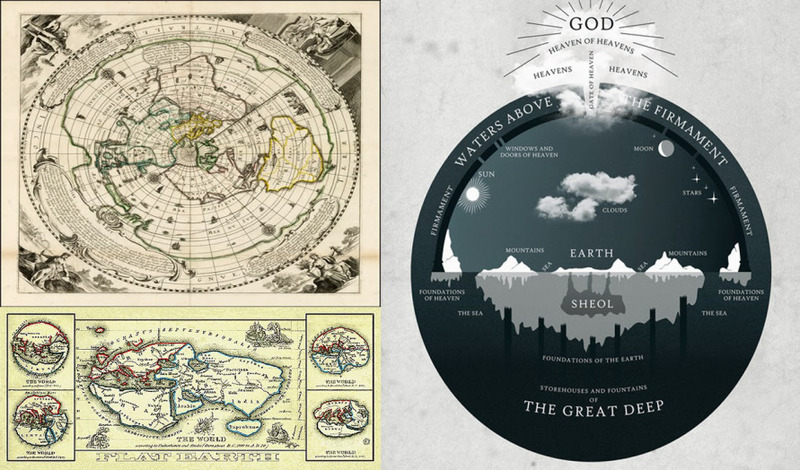 When people realize the earth is flat – the charade is over. That is why NASA and others what to keep it going for as long as they can. Assuming you don’t believe the earth is flat, when you come to terms with, there’ll be other questions you’ll have. In fact, your reality will change. With the knowledge of the flat earth and the cosmos not being what we are told by the mainstream media, you’ll realise several things. 1 – Aliens are not real, 2 – Evolution is a hoax, 3 – That the God of the Bible is real. Millions of dollars have been spent on fostering the belief in evolution for a purpose. That purpose it to keep you from believing in a creator God. With the belief in evolution comes the belief “that we can do our own thing.” Also, that there is no right or wrong, no absolutes. The Jews are happy to keep us “goyum” (Hebrew for cattle) from knowing Jesus; it keeps them “masters” and us obedient slaves. Finally, with a believe in evolution (or any false religion for that matter) it keeps us from entering the Kingdom of God. Therefore, once you realise that the earth is flat, you’ll start asking yourself, “What else has the government/educational system/media have lied to us about. That is why you’ll see other conspiracies on this site; that is why you’ll see it on another flat earth site, too. Some of us “flat earthers” had known about the lies that the government tells us in other areas, and we had known them for years. Then, it was quite recently that we came across the flat earth information. Now, with flat earth videos, blogs and chat forum, people will be exposed to the flat eath truth first THEN learn about the other lies concerning false flag events, historical events and what we are told about “enlightenment and spirituality.” it is the “enlightenment, spirituality” which is cropping up fast now that has to be exposed. So, perhaps your journey has started with the flat earth. For the inquisitive mind, in time, your learn much more about and why life is the way it is. May God guide you in your journey for truth. This entry was posted in Uncategorized and tagged why the cover up. Bookmark the permalink.